Mitsubishi is trying hard to make a comeback in the states by creating cars like the upcoming Eclipse Cross and this — the all-wheel drive 2018 Outlander Sport SEL 2.4 AWC. Lets start with the confusing naming conventions here; don’t confuse the Outlander “Sport” with the regular Outlander, the later is actually a notably larger vehicle which is less sporty. Sporty, of-course, being a bit relative here as the Outlander Sport is rather heavy for its size and its 2.4-liter, 168 horsepower 167 lb-ft torque engine comes up short in the go department. Still, the Outlander Sport has decent in-town punch and adequate acceleration for highway passing. 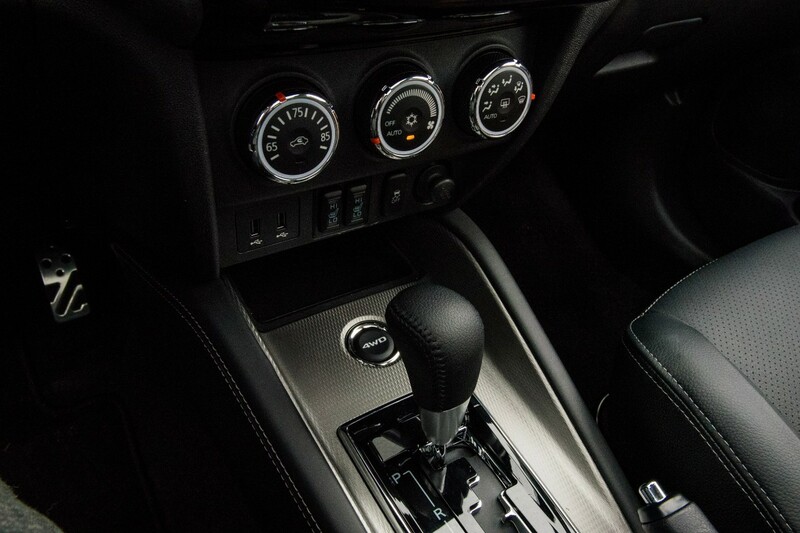 What really stands out is how quiet the engine is during hard acceleration, it seems well paired to its smooth continuously variable transmission. Handling is another place the Outlander Sport scores points. 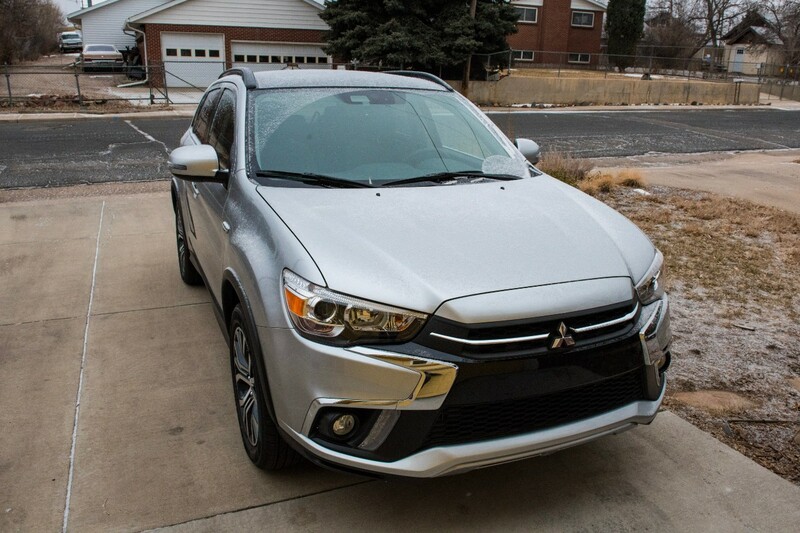 It’s a confident driver thanks to features like four-wheel independent suspension, stabilizer bars and Mitsubishi’s All Wheel Control (AWC) all-wheel drive system. Braking was confident and smooth, but the power steering felt vague and disconnected. The 2018 Outlander Sport’s safety features include anti-lock brakes with electronic brake force distribution, traction and stability control, hill-stat assist and front- and side-curtain air bags. Getting in and out of the Outlander Sport takes uprising effort due to its high sills, unexpected for a small SUV. Once in, the interior is quiet and reasonably attractive for the segment. Sure, hard plastic abounds, but that’s expected in this price range, everything is laid out nicely, well styled and fit and finish were above average. 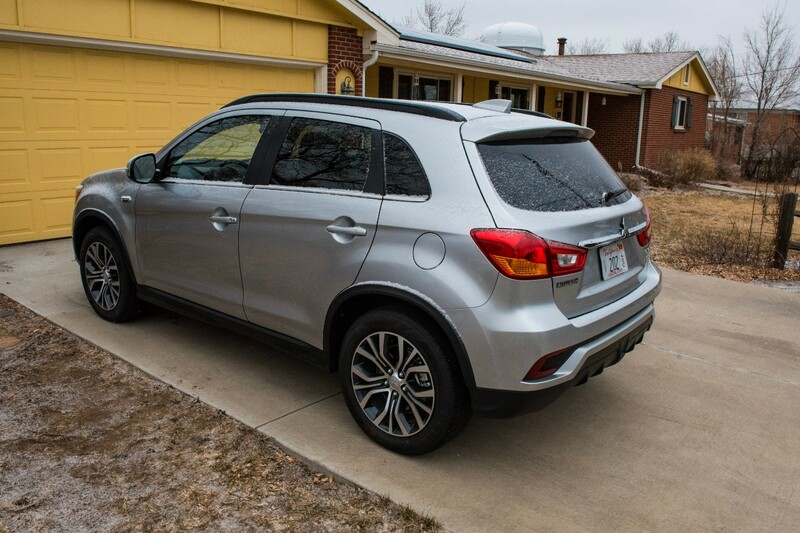 The Mitsubishi Outlander Sport seats five — on paper — only four adults fit with reasonable comfort. 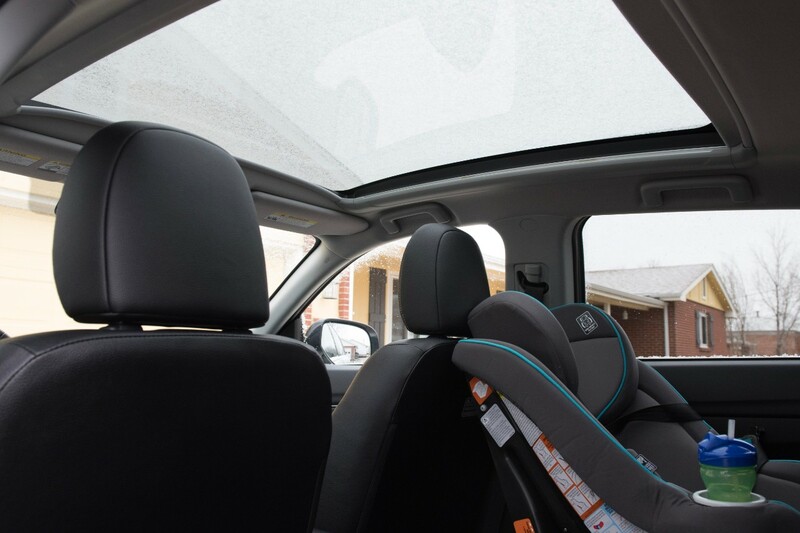 Tall rear occupants will want more knee room, and large rear facing car seats might spell trouble. Front seats are comfortable and supportive, but I would have liked a little more under-thigh and lumbar support. 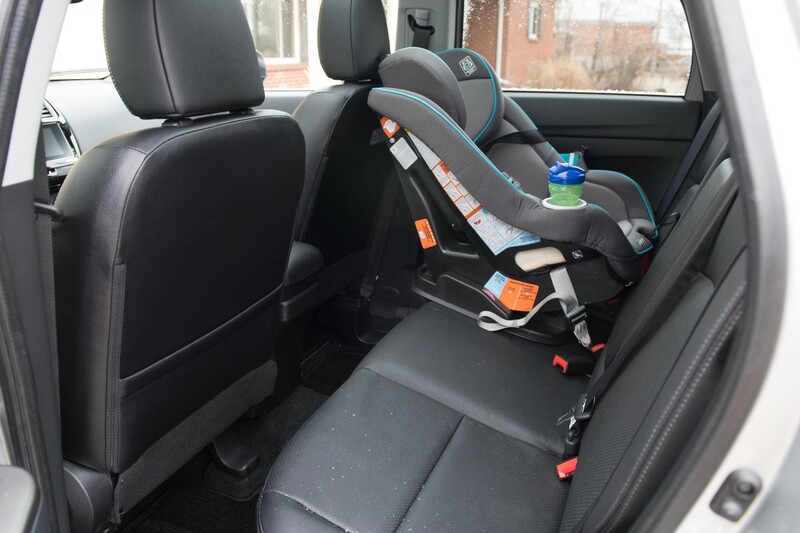 With the rear seats folded flat you are rewarded with a nice large cargo area. Gauges are easy to read and controls are simple to navigate while driving, including the center stack touchscreen. There are plenty of “real” buttons and dials for those of us that prefer tactile interactions as well. I for one, appreciate redundant sound system controls. The front console has nicely placed cupholders and a very deep, covered storage compartment. The Outlander Sport 2.4 SEL AWC is reasonably priced at $25,895 considering it comes with a good number of standard features. Included in that price are keyless entry and start, automatic climate control, power driver’s seat, heated leather front seats, Apple CarPlay and Android Auto, cruise control and a rearview camera. The Sport gets extra dressed up with items like a roof spoiler, silver front bumper under garnish, color-keyed outside door handles, chrome belt line molding, wheel arch moldings and color-keyed heated folding power sideview mirrors with turn indicators. The tester vehicle I had for a week included the optional Touring Package which contains forward collision mitigation, lane-departure warning, Rockford Fosgate premium audio system with 9 speakers and my daughters favorite feature, a panoramic sunroof. That put the Outlander’s final price with destination at $29,110. One feature to not overlook is that the 2018 Mitsubishi Outlander Sport comes with a 10-year/100,000-mile powertrain warranty and a 7-year/100,000-mile corrosion warranty. The 2018 Mitsubishi Outlander Sport is a reasonably priced offering with better-than-average handling and a great power-train warranty. Its performance, however, is so-so at best, a disappointment given the “sport” designation.